The students of IIT Mandi love to participate in various co-curricular and extra-curricular activities, thereby ensuring a very strong all round development of their personality.One of the best advantages of being in an IIT with fewer students is that almost all students get to play a very important role in the organizing of various events,thereby honing their managerial skills.Many groups of like minded students have formed various societies in order to pursue their interests. The Tech-savvy students have formed various clubs related to Technology.Some of them are: Robotronics Club: A society which conducts regular workshops and combines the robotics with electronics along with the "RoboWars" for the "Robo" Freaks . Programming Club: A society ,especially for the coders, to explore new possibilities in programming and to put their skills to test at the same time.It organises various coding competitions at national and international levels giving the young programmers a wide exposure. From first year itself, the students are encouraged to take up advanced projects and showcase them to the whole college; e.g : Avishkar and Design Practicum. Other Tech-Clubs working actively are the Design and Graphics Club Astronomy Club. All technical clubs are active in organizing seminars and competitions. Many of the students have published research papers along with the faculty members with the assistance of the technical clubs. In 2016, the School of Computing and Electrical Engineering published its first newsletter with the contribution of many students and faculty. The newsletter highlights the achievements and activities of the School . These include the key technologies of the Digital Era, including Distributed Computations, communications, VLSI, microelectronics and electrical energy.We proudly hosted the 4th Inter IIT Tech Meet,2016 and bagged gold , silver and bronze in many of the competitions. IIT Mandi witnesses a great participation in all the events conducted by the cultural and literary societies.These societies conduct events regularly for ensuring the development of the cultural and literary skills of the students. The literary society of IIT Mandi EDLS(English Debating and Literary Society) makes sure that events like Group Discussions,Debates and Just a Minute are organised every two weeks to enhance the communication skills of the students.The Music society, Dramatics society and the Dance society are also very active in conducting competitions and group events with a view to ensure that the students learn the importance of a synchronised effort for victory. The dance, literary and music society participated in Antaragini'2015 at IIT Kanpur. Sports occupy the pride of place in the hearts of the students of IIT Mandi.The college organises regular inter hostel and intra hostel sports events to promote the athletes and to encourage the students to improve their physical stamina. 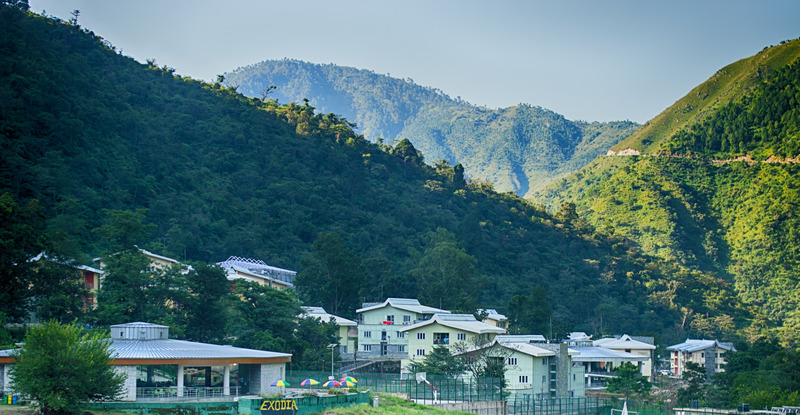 IIT Mandi has also participated in Inter IIT sports and has shown its flair in many events like cricket, aquatics, basketball, badminton, football, volleyball and table tennis. IIT Mandi has become the first newer IIT to win bronze medal in Table Tennis Girls. Exodia is the annual Tech-Cult Fest of IIT Mandi. Exodia 2016 was a great success and attracted participants from Delhi,Chandigarh,Noida,Ropar and afar from Jaipur, Allahabad, Assam,Bangalore ,Bhopal and many other cities.The online events were successful in gaining great participation from across the globe.The events in Exodia 2016 brought together the creative skills and talents of the students and provided an enriching experience to one and all. Management of such a large scale fest is done entirely by students, from cold calling sponsors and inviting participating to real time management of the events. Vivaan was launched as the first official magazine of IIT Mandi. An outlet for the literary geniuses and creative hands, the magazine continues with its high quality articles every year.